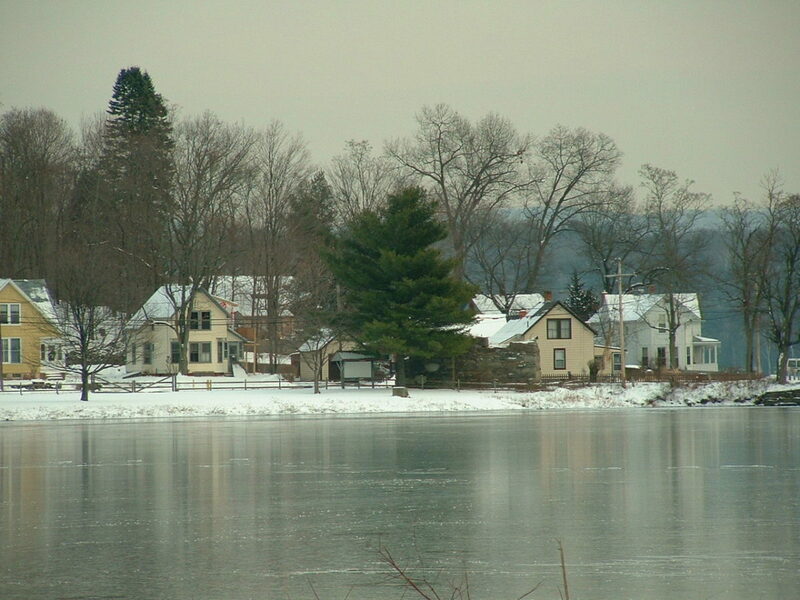 The view across the Connecticut River in Turners Falls, MA ~ December 2004. I have been so fortunate in working for the Montague Reporter in Turners Falls, Massachusetts. They have given me the opportunity to write a variety of articles this year including a new column about my experiences moving from Brooklyn, New York to Western Massachusetts in 2002. I also recently wrote an article about the limitations of public housing which was a departure for me from news reporting to expressing my own opinion in print. I think perhaps I’ll continue to look at that kind of reporting from time to time. It is harder to just focus on the day to day news with the national challenges to our hard won accomplishments, forcing us to reconsider our positions on such matters as health care, child care, discrimination, immigration as well as the education of our children and how that is affected by social pressures and economic fairness. I’ve also spent a lot of time in the last few years doing theater reviews and that has proven most enjoyable. The local theater companies have been so generous in opening their process to me, allowing me to photograph their work and watch their theatrical development, which has given me a unique opportunity to review a performance with better understanding of what went into creating that work. I grew up in a family that appreciated the creative arts and considered knowledge of art, music, theater, dance to be vital to the education of their children. In sharing this with others, I find the arts to be of great value to all the members of our community, young and old. And I find myself increasing my own inclination to be creative, bringing my own art out to the community. And so I will be sharing some of that here on my own blog, including posting some of my past writing here to share with a wider audience. I hope you enjoy it. This entry was posted in Journal on January 10, 2018 by Ellen Blanchette.